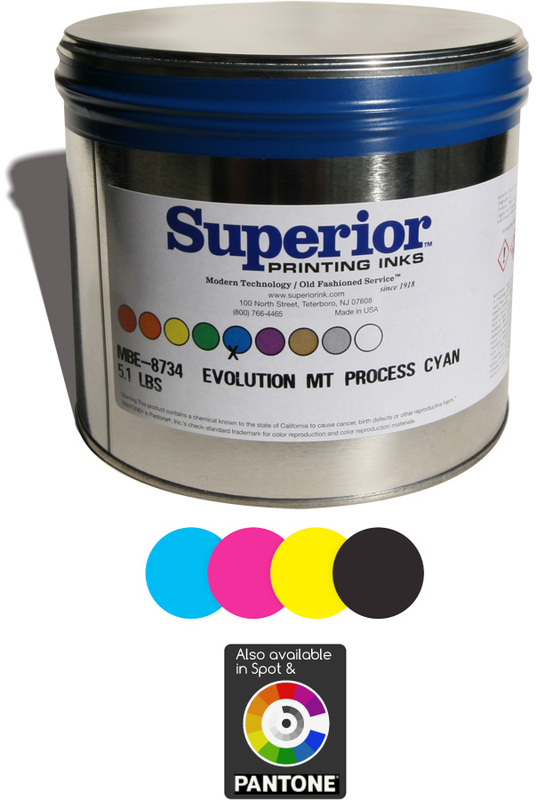 Evolution is a user friendly sheetfed ink that delivers predictable color rendition and outstanding ink water balance latitude no matter what the press configuration. Evolution sets up quickly and ensures that jobs can be processed through the bindery with minimum delay. Available in an Extra Low Tack, Low Tack, Medium Tack and High Tack series, Evolution is well suited to a wide range of substrates.